Ireland’s 2013/14 “Large Whale Season” got off to a flying start last week with a brand new entry to Ireland’s humpback whale catalogue. Irish Whale and Dolphin Group (IWDG) member and keen whale watcher Nick Massett observed and photographed the whale — the 23rd humpback recorded in Irish waters, and now dubbed HBIRL23 — off Clogher Head and Sybil Head, Co. Kerry on the 27th and 28th of July. 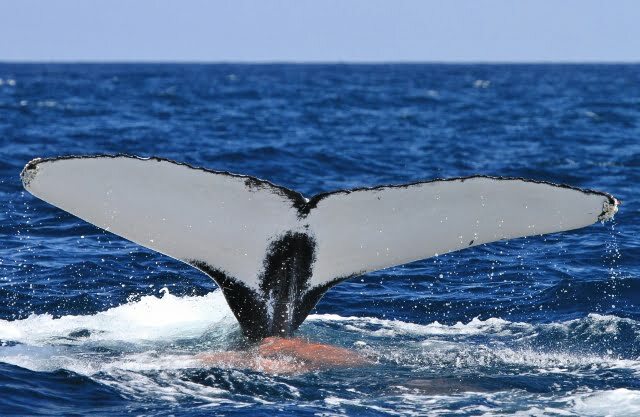 After comparing photographs of the the tail flukes and dorsal region against photo-ID shots in the existing Humpback Whale Catalogue the IWDG confirmed that this was indeed a brand new humpback for Ireland. The IWDG has sent photos of the underside of the tail flukes, which are extremely white in this individual, to the coordinators of the North Atlantic Humpback Whale Catalogue, who will run it through their database of more than 7,000 fluke shots to see if they can find a match. According to the IWDG the humpback is some distance out, but should be visible from shore with high quality spotting scopes if conditions are suitable. 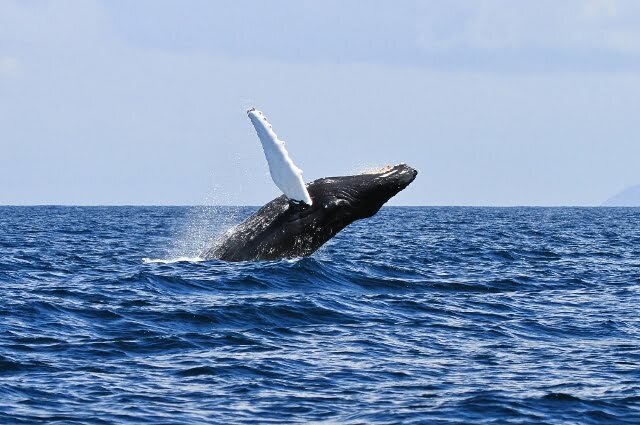 It’s exciting news… and a good omen perhaps for the IWDG’s national “Whale Watch Ireland” event scheduled for the 18 August this year (more info on that as soon as its available).